On Good Governance Day, Shri Ravi Shankar Prasad, Minister of Communications and Information Technology, launched the nationwide rollout of Online Labs for School Experiments. 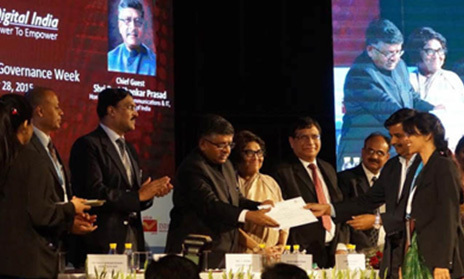 OLabs was selected as a leading Digital India initiative in the category Empowerment for Good Governance. OLabs is developed jointly by CDAC, Mumbai and AmritaCREATE, Amrita University. OLabs is an initiative of the Ministry of Electronics & Information Technology (MeitY), Government of India.